If you have repeatedly failed IVF despite of having good quality embryos, you may be a good candidate for the latest IVF treatment called endometrial biopsy scratching or endometrial biopsy. Endometrial Biopsy is a gentle endometrial injury caused by scratching patient’s uterine lining prior to embryo transfer. New research shows that local injury to the lining of the uterus can actually make the uterus more receptive to an implanting embryo and thus will increase one’s chances of pregnancy. How endometrial scratching works is not entirely understood. Scientists involved in studies believe that there may be two causes of increased implantation rates: white blood cells and gene switching. The endometrial biopsy is a relatively simple procedure that can be performed either by our IVF clinics or by your local Ob/Gyn familiar with this procedure. The procedure is commonly referred to as a four quadrant uterine biopsy. MedVacation fertility doctors have been using endometrial biopsy scratching for some time now and it has proven to be successful for several of our patients. Although endometrial biopsy scratching is clinically effective, the timing of the procedures and its frequency are still being debated by fertility specialists. Fertility doctors agree that the scratch biopsy needs to be done once or twice before embryo transfer. MedVacation fertility clinics offer this “new” treatment. This is also a testament to the quality of our fertility doctors. Contact us today for your free consultation and find out whether you may be a good candidate for endometrial scratching procedure. 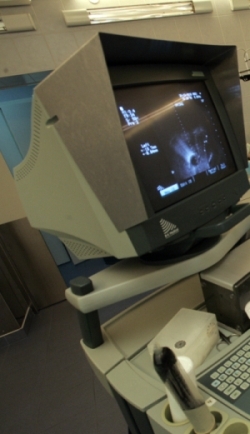 From start to finish, a typical IVF protocol would require a 17-day stay abroad. Although MedVacation fertility doctors would prefer our clients to stay in their clinics for the entire IVF cycle, most patients are able to reduce the number of days spent abroad by way of starting ovulation stimulation with a local OBGYN doctor. With egg donor cycles, the length of stay abroad is even shorter, since our embryologist will need the sperm on the twelfth day of the cycle. With IVF cycles using own eggs, you can spend the first seven days at home. During that time, our doctors will work very closely with yours to get everything ready for the next step. 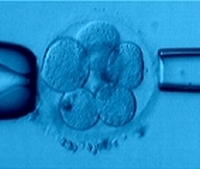 Until recently, embryos were cultured for three days and then transferred to the uterus and/or cryogenically frozen for later use. Our IVF clinics now have the ability to grow the embryos for five or six days until they reach the blastocyst stage. Blastocysts have a greater chance of implantation. Blastocysts transfer is often preferred by our clients, because it allows our IVF doctors to transfer fewer embryos and lower the risk of multiple births. 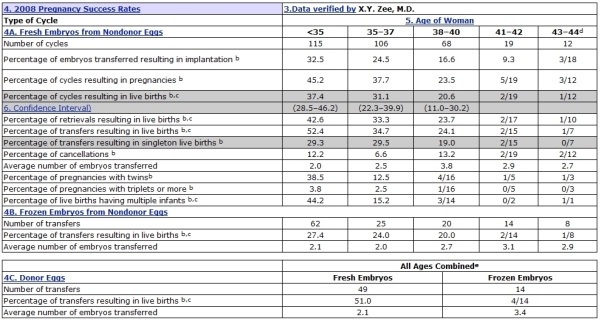 In addition, blastocysts transfers give couples significantly higher chances for pregnancy. You may return home 2-3 days after the embryo transfer. Our work does not end here though. Before you leave our clinic, you will be instructed to purchase injectables, estrogen tablets and suppository medicine to support the first 12 weeks of your pregnancy. Post-transfer IVF medications from our clinics’ pharmacies cost half as much as they do in the U.S. Upon your return to your home town, you will schedule a number of appointments with either a perinatologist or an Ob doctor. Our fertility doctors will continue monitoring you and work very closely with your local doctor during these 12 weeks. They are also available for a free consultation any time after that. If you choose to the option of being monitored by a local OBGYN for the first seven days of your IVF treatments, our low cost IVF packages start around $8,199 and include airfare for two and hotel stay. The founder of MedVacation Taras Kuzin took part in a radio show whose topic was fertility tourism. The host, Dawn Davenport, and the guests on this show provided some great information about IVF with fertility clinics abroad and egg donations overseas. Visit MedVacation’s website to listen to recording of this episode. If your doctor recommends you have a surgery to remove your uterine fibroids, the cost of the removal with our overseas IVF clinic is $2,800. We also want to point out that the relationship between uterine fibroids and infertility remains quite a controversial topic. Data from several recent studies does not support myomectomy in women with small-to-moderate uterine fibroids prior to IVF treatments, regardless of fibroids’ location. Our fertility doctors will need to see a medical report indicating the location of your fibroids and their size, before they can determine whether it is necessary for your fibroids to be removed. We recommend you send us your ultrasound. You can either make a copy of the CD and mail it to us or transfer the file via Skype. Call us today to schedule a free telephone consultation with a fertility specialist to discuss your fibroid situation.